Syrian government forces have captured more than a third of rebel-held territory in eastern Aleppo. Russia's defence ministry says Syrian government troops have captured 12 districts, or 40% of the territory, from the rebels. Why are people still living in east Aleppo? 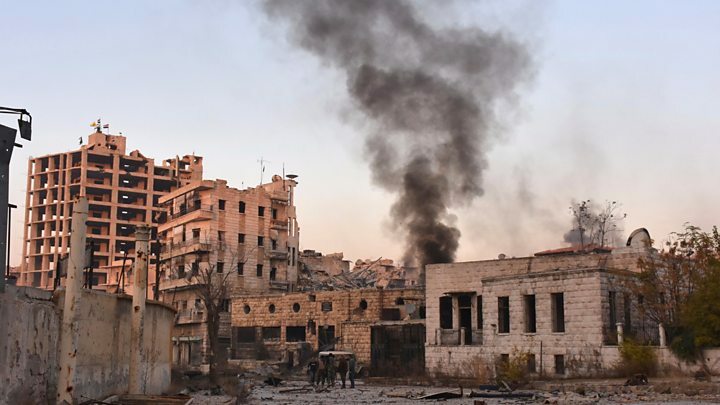 Last week the United Nations' humanitarian chief, Stephen O'Brien, said that hundreds of civilians had been killed or injured since the bombardment of eastern Aleppo resumed six days earlier. 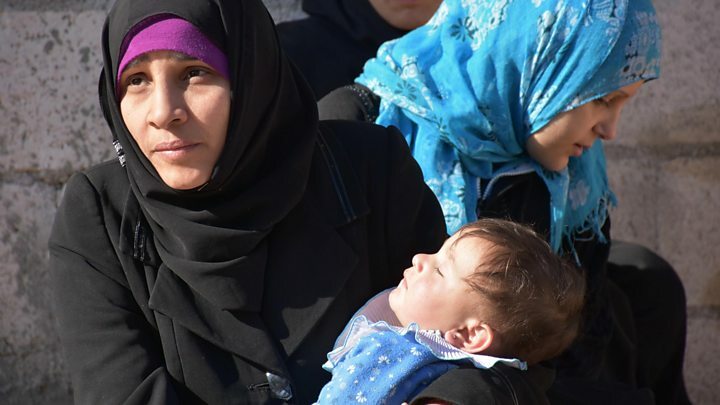 Since the start of this month's offensive, pro-government forces have conducted 2,000 airstrikes, bombing the city with some 7,000 artillery rounds as well as ballistic missiles, cluster munitions and chlorine gas, according to the White Helmets rescue group. The BBC has not been able to verify these figures. 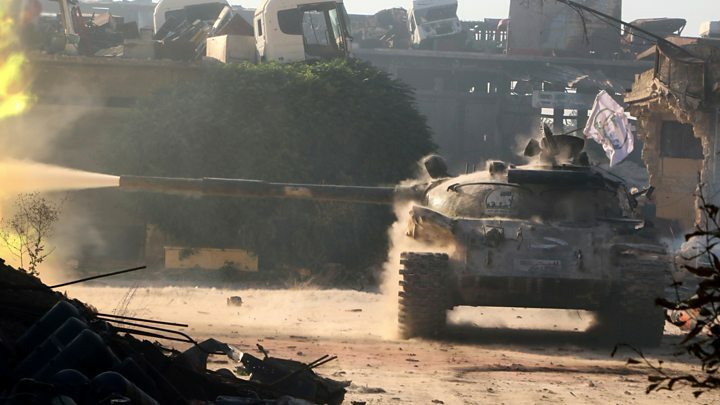 Retaking the whole of Aleppo, Syria's second largest city, is a key aim of the Syrian government. The east of Aleppo has been held by rebel factions opposed to President Bashar al-Assad for the past four years. This has cemented Iran's key role in the conflict, which may have consequences in the future.